Creating a Easter brunch menu for a family of four can have it's challenges. You want to make it special but at the same time you need to keep it simple. You really don't want to over do it, or slave all day in the kitchen, especially when two of the dinner guests are children under the age of 10. So what is the thought process when creating a brunch menu? Where do you start? For me was realizing what is the most common ingredient associated with Easter. Do you know what it is? 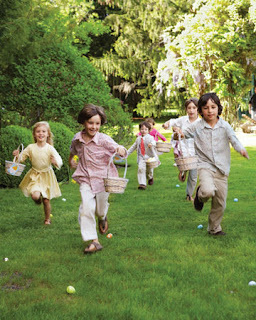 Every year during Easter morning children all over the world dash through fields and yards to search and devour hundreds of pounds of chocolate. So creating a menu entry with chocolate as the main ingredient is the obvious choice here. Now the second part of the thought process is how to make it simple, tasty, nutritional, and child friendly. 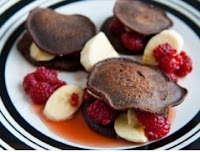 I am also tempted to add a little bit of powdered sugar on top of the pancakes. This recipe is ideal for several things. Takes less than 15 minutes, chocolate is the main ingredient, and fresh fruit is used. Now for the grownups, aka mom and dad. Same thought process but in this case what is the most common meat associated with Easter? 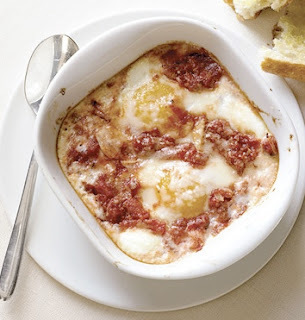 I have researched several recipes and for a very long time and I've been wanting to make baked eggs in a rustic tomato sauce with a gulp of red wine. Doesn't that sound like a combination to die for? I came across one of Marta Stewart recipes that I think I will used as a base. Add a gulp of red wine and let it simmer for a moment. 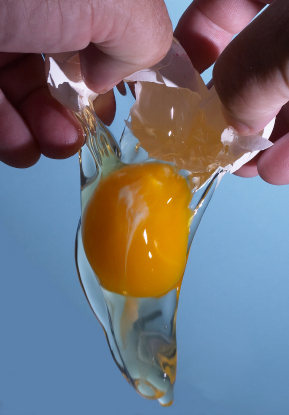 Gently crack eggs into tomato mixture (use individual ramekins) and bake until egg is no longer translucent. Garnish with parmesan cheese, and season with salt and pepper; serve immediately. 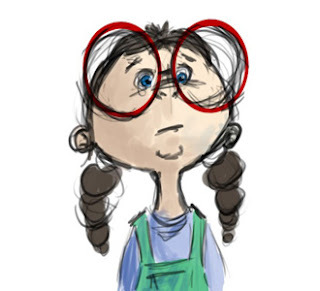 In reality, I've the tendency to never follow a recipe to its tee. I like to add my own twist. For this recipe, I will use whole tomatoes and cooked them until they break down for a more rustic feel. I'm also planning to incorporate minced shallots and lamb sausage into the tomato mixture and for an extra kick a touch or cumin and saffron. Also, I'm planning to add spreadable goat cheese to my toasted bread (since I'm not planning to use parmesan cheese). There are no rules (except for baking) when it comes to cooking. Feel free to add or edit anything on this page. If you don't want to make your own tomato base you can always use marinara sauce or you can always make the tomato base one day ahead. Remember, have fun, be thankful, and enjoy the day with your family. 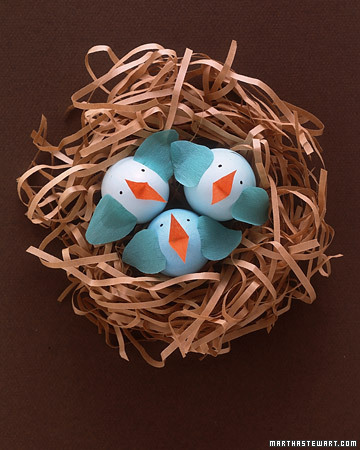 I don't know about your kids but mine always expect to make some sort of craft for Easter. This year guess what are we making? Marta Stewart Bluebirds!! Ha! 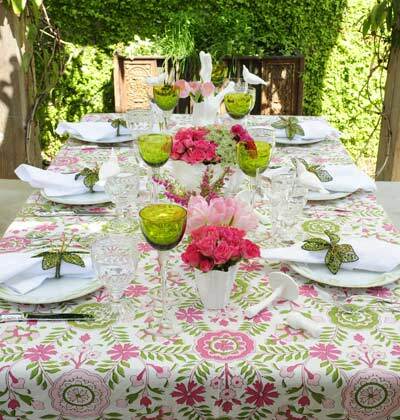 Photos by Marcus Samuelson, Marta Stewart, and Southern Living Magazine.